The ASME Turbo Expo, presented by the ASME International Gas Turbine Institute (IGTI) will be held in Charlotte, North Carolina, USA on June 26 – 30, 2017. ISimQ will be presenting a paper, GT2017-64786, on joint validation work performed with the Notre Dame Turbomachinery Laboratory. In this work, we validated innovative transient rotor-stator interaction methods on a unique and challenging high-pressure ratio transonic compressor stage for which the Notre Dame Turbomachinery Laboratory performed the experiments, obtaining unsteady-state two-dimensional experimental data between the rotor and stator. 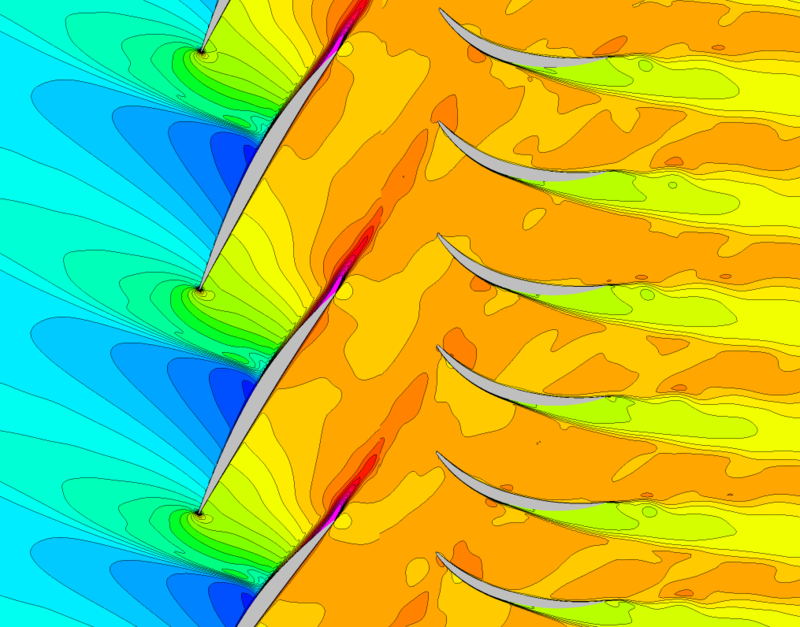 The complex unsteady-state interaction is explored in the paper, including resolution of unsteady-state flow features above the base blade passing frequency. More information regarding the conference is available at https://www.asme.org/events/turbo-expo.